You may have noticed that the Phillies have been terrific in Spring Training. At 13-5-1, the Phils are in a virtual tie for first place among Grapefruit League teams; while there is plenty of research indicating that there is no correlation between a team’s Spring record and regular season record, including this FanGraphs piece from earlier this month, it is exciting to see a team that Vegas had at 65.5 wins open up the Spring slate with some moxie. As the Spring winds down, there have been a number of offensive standouts. Maikel Franco leads the Majors in homers this Spring and looks every bit the power threat the Phillies hope he can become in a line-up devoid of such. The Phillies outfield contingent of Peter Bourjos, Odubel Herrera, and Tyler Goeddel are hitting .324, .391, and .279 respectively while the presumable back-up outfielders David Lough and Cedric Hunter have come up with big hits and are both hitting over .300 in small samples themselves. And behind the dish, Cameron Rupp, hitting a monsterous .455/.520/.955 with 3 HR, is looking to pry away the starting catching gig from Carlos Ruiz while J.P. Arencibia lurks in the background (.368/.400/.585, 2 HR) as a possible odd man out. On the pitching side, “Vinny from Philly” Vincent Velasquez shrugged off a rocky start to become a legitimate candidate for the fifth starter’s spot after K’ing 16 batters in 14 innings pitched. Jeremy Hellickson seems to be channeling his 2011 AL Rookie of the Year campaign following his five inning, no-hit run in yesterday’s win against the Astros. The eternal hope of Spring has led me to wonder if Andrew Bailey, a two-time former All-Star, can capture lightning in a bottle and become a veteran force, if not closer, for the Phillies. And an intriguing relief battle has developed as Bobby LaFromboise and James Russell have emerged from a crowded field as left-handed stoppers with Rule 5 selection Daniel Stumpf not far off the pace. But then, there are the disappointments. Things can change quickly in the Spring and comments, including these below, should be and are made with caution. For instance, before Ryan Howard‘s offensive outburst late last week, Howard looked a lot more like 2015 Ry Ho than the Big Piece that was still a power threat in 2010. And Vinny from Philly rebounded from a slow start and increasingly looks like a pitcher the Phillies will be able to build around. But with under two weeks away from Opening Day, the Phillies have two players that currently lack the optimism that surrounds the rest of the team: Freddy Galvis and Charlie Morton. For Galvis, his glove received rave reviews before an injury to Chase Utley thrust him into the starting second baseman’s role just prior to the 2012 season. As early as the summer of 2011, there were murmurs about calling up the then-22 year old, at least in a role similar to then-utility players Michael Martinez and Wilson Valdez. His bat had reached a boiling point at Reading and then Lehigh Valley, too, at least from a batting average perspective. When Galvis was called up, he wasn’t expected to hit. He was expected to play great defense. And the defense was there and this there. Despite a pair of seemingly freak injuries that limited his playing time and development in 2012 and 2014, Galvis has been worth nearly one win above replacement level for his defense alone since his first call up in 2012. And the hitting has gotten better, too. Never known for his ability to get on base, Galvis, in his age 25 season, hit an improved .263/.302/.343 in 602 2015 PA, his first Major League season with over 225 MLB PAs. But what we’ve seen so far from Galvis in the Spring of 2016 is a step backward. Galvis is tied for third on the team in Spring PAs but has yet to draw a walk while striking out at a 21.42% clip compared to his career 18% Major League mark. While samples can be cherry-picked from 2015 to demonstrate that the small sample is at play (13 games between July 1 and July 17? .360/.377/.500, 1 HR), the constant question remains: if Galvis can’t walk and doesn’t hit for power at the Major League level, can the Phillies sustain his level of effectiveness as the rebuild begins to move into phase 2 and will how short will Galvis’ leash be as the starting shortstop with mega prospect J.P. Crawford waiting in the wings? Morton Penciled In as Fourth Starter – Should He Be? 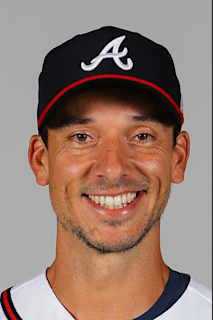 Charlie Morton’s Major League career has been about as pedestrian as you can imagine with some colorful distinctions. For instance, in 2013, Morton set the record for percentage of batters faced hit. Hit as in plunked or beaned. And in the last three seasons, only Dallas Keuchel has induced more ground balls. But beyond that, Morton is a 32-year old pitcher that touches 92 MPH with a propensity to use a curveball and a change-up around one third of the time who carries with him a career 4.54 ERA and a 1.44 WHIP and an $8 million price tag. From nearby Flemington, NJ, Morton is a perfectly-average Major League pitcher that has been worth about one-win above replacement level each year he has been in the Majors. He has lacked consistency, though, when it comes to K/9 IP, BB/9 IP, and HR/9 IP while facing fairly consistent “luck” or BABIP. Other than a truly unlucky year in 2010, Morton has stayed relatively true to his career BABIP of .312, a number that isn’t particularly good for a groundball pitcher, good for 193rd out of 224 qualified Major Leaguers between 2011 and 2015. In those years, Morton’s 3.96 ERA ranks 129th out of 224, his 6.37 K/9 IP ranks 170th, and his 3.20 BB/9 IP ranks 162nd. The ground ball rate does rank third since 2013 and seventh since 2011 but what good does it do when the contact that is made allows runners to reach base at the 31st and 41st best rates, respectively? This Spring, Morton has struggled tremendously, walking four, allowing six earned and two homers in two appearances. A pitcher should not be judged on two appearances alone, but knowing Morton’s track record, what did the Phillies expect when they traded for him? Morton was acquired in December 2015 as a salary dump deal with the expectation to add an additional arm. The same day, the deal that sent Ken Giles to the Houston Astros for, among other players, Velasquez and Mark Appel was finalized. With Velasquez well ahead of schedule, Adam Morgan (2.00 ERA, .138 BAA) doing everything but striking hitters out, and Jake Oberholtzer reportedly the odd-man out despite his stellar Spring, Morton’s struggles have begged the question: what are the Phillies looking to get out of Morton in 2016? Galvis and Morton, at 26 and 32 respectively, seemingly don’t have much in common. But they are both players that have struggled through the midway point of Spring and are in danger of being the first roster casualties of the rebuild when it hits its second stage. If Galvis’ struggles continue through May, could we see Crawford? If Morton has more of the same (good contact on balls put on the ground), will the loser of the Velasquez-Morgan battle send Morton to the bullpen? Or will Galvis continue to develop and will Morton be more of the 2013 and 2014 Morton that reduced home runs and got weaker contact on ground balls? These are two of the big questions heading into 2016.